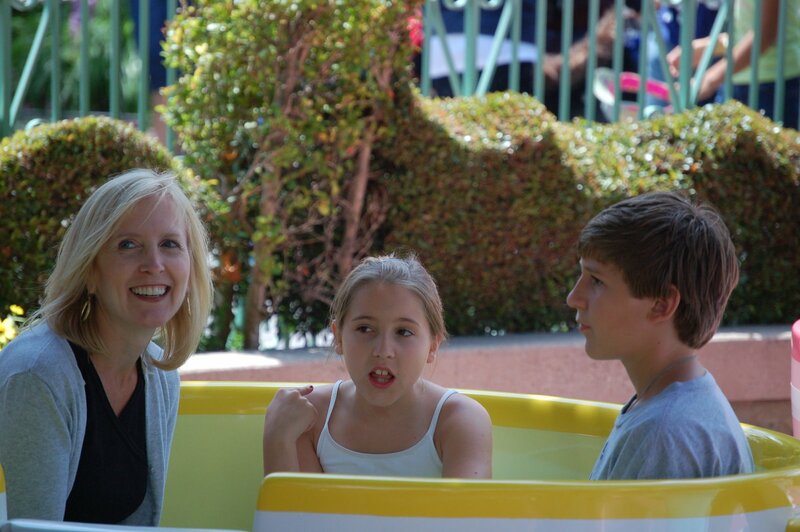 The Senator’s daughter is obsessed with tea cups. 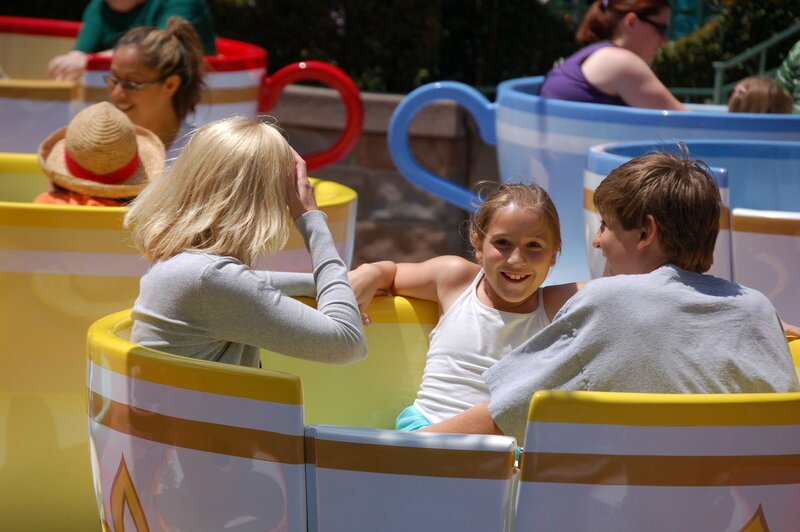 Well, the colorful tea cups at any Disney theme park. 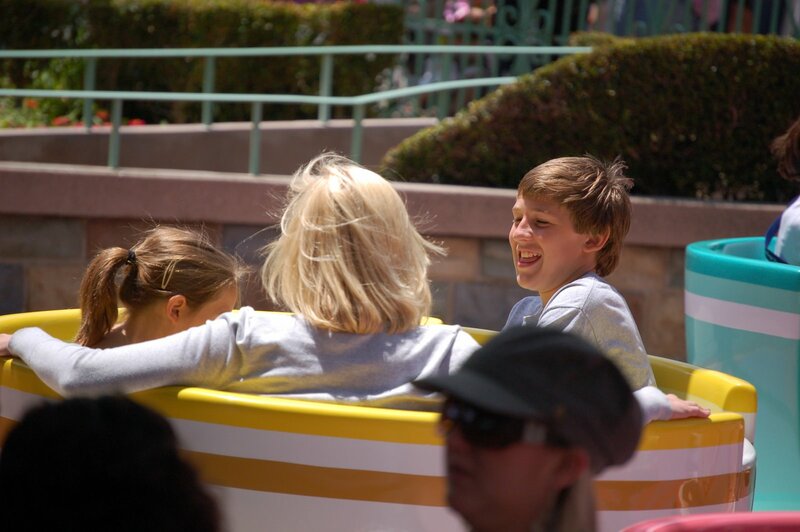 Forget about Cinderella and the Castle, Minnie and Mickey, even the Dumbo ride, we have to head straight to the tea cups once inside the park. 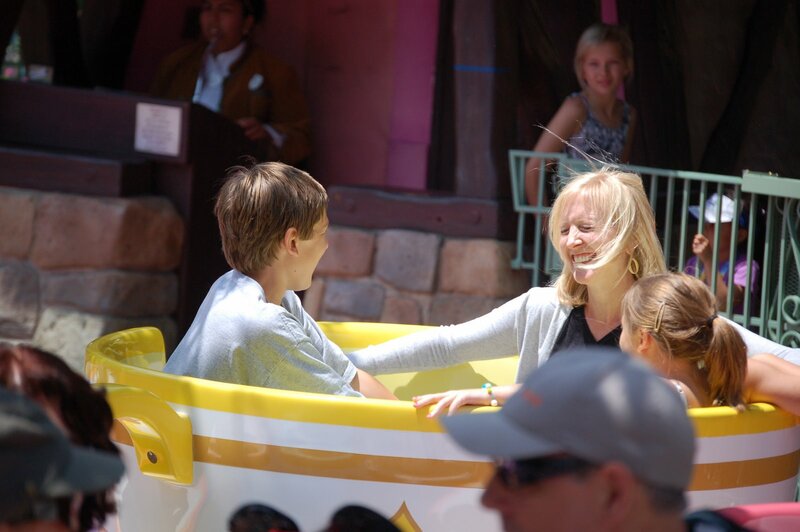 I have yet to figure out what her obsession is with this particular tea cup ride. Allison in Wonderland is not one of her top ten favorites stories, and this ride is no roller coaster. It’s all about the spin. I’m sure this fixation must go back to when she was 3 years old and on her first trip to Disney World with her grandparents. My father obliged her request to sit in a tea cup and spin not once, not twice but too many times to keep count until she became bored with spinning, or just dizzy. My father deserved combat pay for his time in the tea cup. However, spinning is not always fun for everyone. Especially me. So on this trip to Disneyland, I was her intended victim. She smelled the fear. Except, this time the Senator’s daughter handed over the controls to the Senator’s son, asking him to do the honors….of spinning that is. What a colossal mistake. None of us had ever spun so fast and furious. 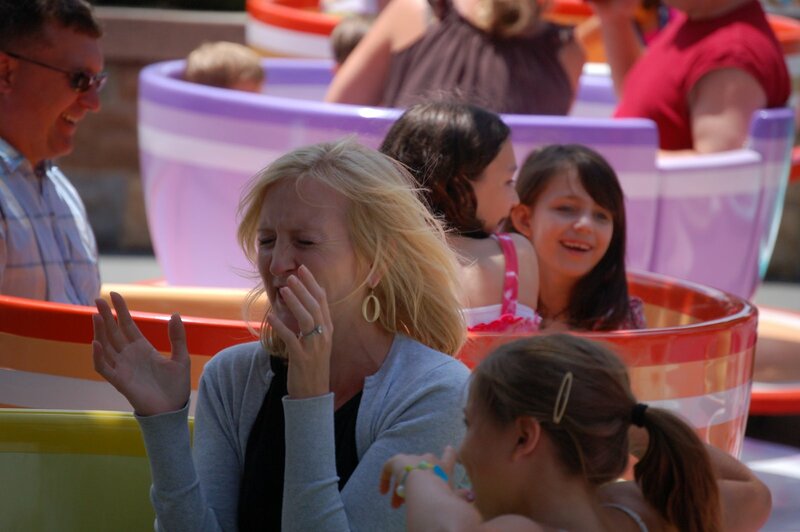 Forget about water boarding, the tea cup ride is a kinder, gentler form of torture. Just look at the joy on that face. He knew what he was doing and loved every minute of it! Disney really should have a logo’d barf bag at the ready. Even the Senator, who was attempting to photograph our tea cup adventure, couldn’t keep up with the camera due to the uncontrollable and rapid spinning. I’m sure he found that enjoyable, I mean it being Father’s Day and all!